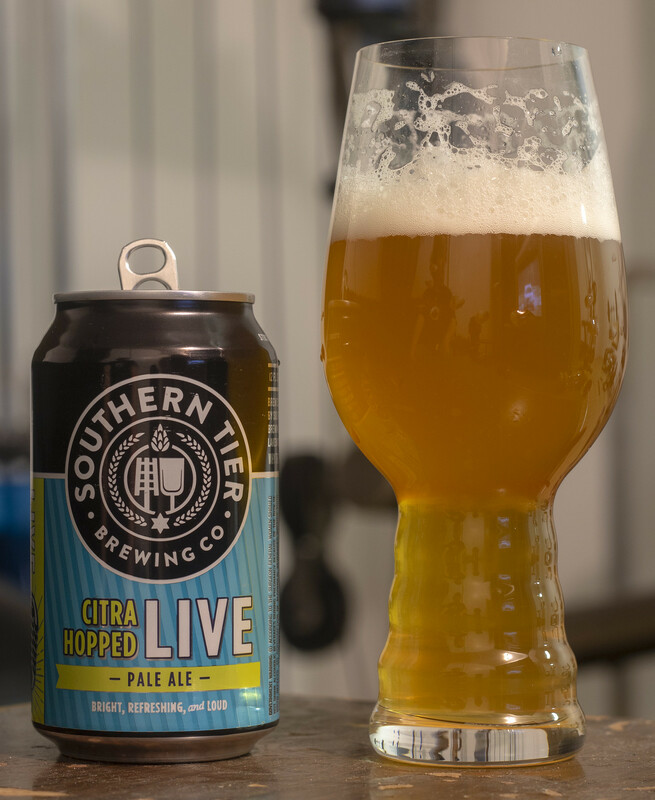 Today I'm checking out Southern Tier's Citra Hopped Live Pale Ale. Appearance: The beer pours a cloudy orange body with a good amount of carbonation in the body, not clear at all but it has a faint appearance that looks like you could almost see a blur out of it.. more so than most IPAs now days. The head is a moderate thickness with a white hue to it, it gradually diminishes, leaving behind a light amount of lacing on the glass. Aroma: Sweet and mildly tropical - sweet fruitiness like pineapple, mango, grapefruit, mild pine bitterness. Pretty straight forward so far. Taste: Mango and honeydew hits right from the beginning with a bit of a pineapple taste in there as well.. so it's a bit like a fruit cup. Moderately bitter with pine, as well as a bit of a fresh cut grass taste in there as well. There's a bit of grapefruit as well. The aftertaste is light bitterness with a hint of honeydew to it. Overall Thoughts: Moderately bitter, good amount of tropical fruitiness to it.. but it reminds me a bit too much of a breakfast fruit cup, which I'm not really a fan of. Not a bad pale ale but nothing wowing about it either. Easy to drink, moderate amount of bitterness but nothing screams out in this beer. Review: Beau's Farm Table: E.S.B.